A relevant church makes spiritual impact in the lives of its members and others not in the church. The Church should touch the lives of the unsaved. The Church of today sadly, has a lot of people in it who, instead of having compassion on the lost, have rather developed hatred for them, and wish Jesus Christ would return quickly and destroy them. On the contrary, Jesus Christ's mission is not to destroy but to save. 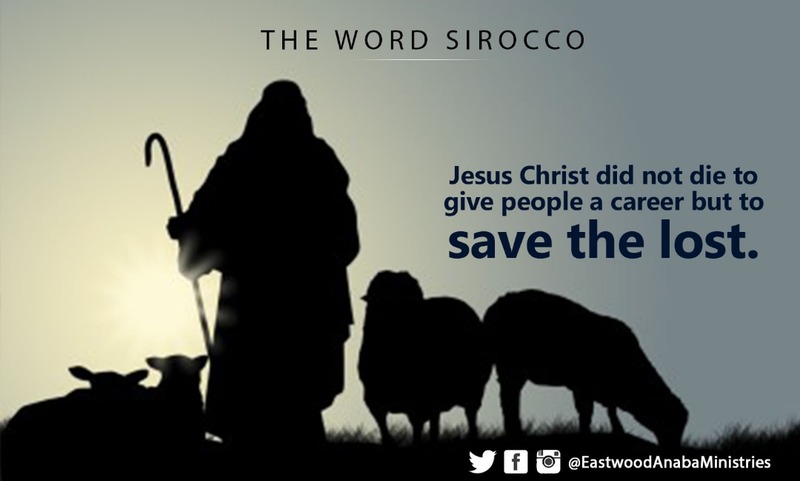 He seeks to save all who come to Him (John 3:16). There is a day of the Lord - a day of judgement - which will come like a thief (1 Thessalonians 5:1-6). We do not have much time, though the assignment is huge - None should perish (Matthew 16:15). There are many souls in our immediate environments who need salvation. They should not perish. We must all, as believers, lay our hands to the plough and not look back (Luke 9:62). Satan has managed to turn the Church against itself, where rivalries ruins revivals. The harvest must not go "unreaped" whiles reapers merely defend their “own” flock. Jesus Christ did not die to give people a career but to save the lost. Let's set our priorities right. 1. Pray for the passion to save the lost. 2. Pray that the Holy Ghost will touch the hearts of the lost to accept the Word of God.